What Are The 5 Most Important Things You Need to Know About Statutory Contributions? What exactly is a statutory contribution? Statutory contributions are contributions mandated by law to be made by both employers and employees, failure of which would incur fines and penalties. It bears similarities to a tax deduction, however these contributions usually hold a more direct effect to those contributing it. What are the 5 types of statutory contributions? So from the HR teams managing the payroll processes to the ordinary Singaporeans who simply contribute it, what are the most important things we should know about statutory contributions? The CPF is a fund created to help Singaporean citizens and permanent residents set aside money for retirement and housing benefits. It comprises of both employer and employee contributions, of which the employer is required to pay both parties’ share of CPF contributions. 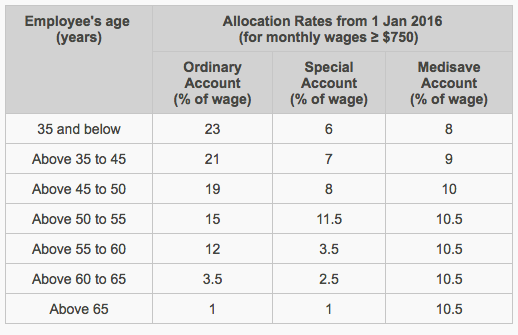 How the CPF contribution is calculated varies according to the employee’s Total Wage (TW) earned for each specific month. The Total Wage is a combination of the 2 types of wages Ordinary Wage (OW) and Additional Wage (AW). Ordinary Wage (OW) are wages due wholly and exclusively in regard to an employee’s employment in that specific month. Additional Wage (AW) are wages not granted wholly and exclusively for that same month. 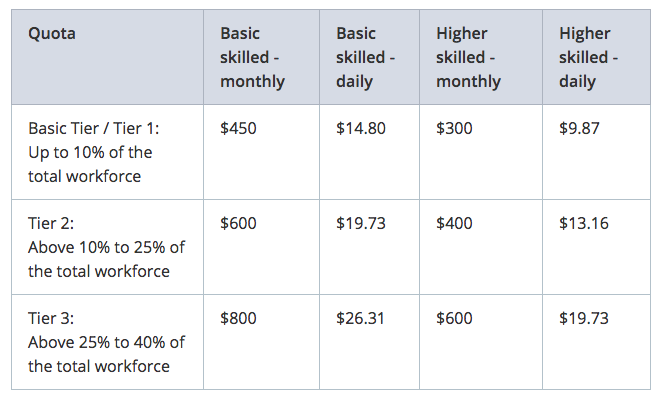 Examples of Additional Wage include annual bonuses, incentives, and leave pay made at intervals of more than one month. A ceiling cap is in place for CPF contributions. The maximum amount deductible for CPF based on OW is capped at a total of $5000, and the AW ceiling is calculated using a formula on a per employee per year basis. The employer then deducts the employee’s share of contribution from the pay check. Last but not least, the employer is required to pay both shares of CPF contributions within 14 days after the end of the month, which is when CPF statutory contributions are due. The table below shows the CPF allocation rates for private sector employees and non-pensionable employees in the public sector. The Skill Development Levy (SDL) is a fully employer responsible contribution implemented by the Ministry of Manpower. The SDL funds the Skill Development Fund which assists workforce and employee upgrading and training programs. It is a measure put in place to develop and improve the Singaporean workforce and its individuals. Employers are mandated to contribute SDL for all employees including full-time, part-time, casual, temporary and foreign workers. Calculations for the levy rate is 0.25% for the first $4500 of all employees gross monthly remuneration subject to a minimum of $2, whichever is higher. For gross monthly remunerations that are higher than $4500, a levy of $11.25 is to be paid. The SDL is not deductible from the employee’s salary. Based on each employee’s ethnic group, certain groups are required to make contributions to their respective ethnic funds. For the Chinese ethnic group to take an example, all Chinese Singaporean citizens and PRs are required to contribute to the Chinese Development Assistance Council Fund. Similar contributions are in place for the Indian and Eurasian ethnic groups as well. The contribution amounts for the Ethnic and Community-related funds are to be deducted from the employee’s salary. The Foreign Workers Levy (FWL) is an implementation where employers are liable to pay levies for the hiring of foreign employees with Work Permits or S Passes. It is a policy put in place to control the number of foreigners working in Singapore. The amount of levy for the FWL is calculated based on the qualification of the individual, and the industry in which the individual is working in. The employer is required to pay this levy and cannot deduct it from the employee’s salary. The upside for employers being that they do not have to pay CPF for foreign workers with this in place. National Service is a requirement for all Singaporean male individuals to undergo for 2 years, after which they become an NS Reservist man and is liable to be called up for training and duties for a period of time annually and periodically, unless otherwise instructed. For employers with NS reservist employees who are called up for duties and trainings, they do not have to pay them for the time they are away for NS activities. They have to however make deductions to their pay checks accordingly. CPF contributions are still mandatory for the employers to pay during the time they are away. So for such an elaborate issue with so many fine liners in between, these are the 5 statutory contributions currently in place in Singapore and everything you need to know about them. HR teams and employers are the main party concerned with the numbers and concepts of the subject. A long list of wearying calculations and accounting is necessary which contributes to the bulk of agony that involves handling payroll processes. Fortunately for the HR personnel, HRM software tools have become available in place to aid them in the management of payroll and statutory contributions. Long hours are being cut short and calculations are now streamlined to perfect accuracy. The technology in HR has caught up and has now blessed the business world. What was once a torturous but necessary affair has evolved into a straightforward task that HR and employers can now manage with ease.